On 17 August 1943 US troops finally entered Messina at the northern tip of Sicily, it proved a hollow final victory at the end of a tough campaign. Over 100,000 Axis troops had escaped across the Straits of Messina in the few days before the final capture of the city. Under the pressure of the Allied invasion of Sicily the Italian King overthrew Mussolini’s government and a new Italian government was formed. On 3 September the new Italian government signed an armistice with the Allies, though it was not announced until 8 September. This allowed the landings at Salerno and Taranto to take place while Germano-Italian relations were still in a state of flux. With the announcement of the armistice on 8 September the Germans set about disarming Italian troops. Some Italian units resisted and fighting occurred around Rome and in Greece. The Germans soon had complete control of northern and central Italy; they then regrouped their forces near Naples ready to resist the Allied invasions. The first stage of the Allied invasion of the Italian mainland occurred on 3 September with Operation Baytown. British and Canadian troops crossed the Straits of Messina in 300 ships and landing craft and started a campaign pushing northwards through the Calabria region. Operation Baytown was intended as a diversion for the Salerno landings, but the Germans refused to fall for the bait and the British and Canadian troops advanced 300 miles against no resistance other than engineering works. The next phase of the Invasion saw the landings at Salerno and Taranto. Operation Slapstick (9 September) saw the British 1st Airborne Division land directly off ships into the port of Taranto. Very little resistance was met, as the Italians had surrendered the day before, and few German units were in the area. The ports of Brindisi and Bari were soon also in Allied hands. On the other coast the landings at Salerno were to prove more of a problem. Operation Avalanche was an expansion on the ideas tried in Sicily where a force would be sent ahead of the main land thrust to get around the positions of the defenders by landing behind their flank. This was a much grander scheme aimed at seizing Naples and then cutting across to the east coast and trapping the Germans to the south. This bold landing consisted of a sizable force of some nine Divisions from the US VI Corps and British X Corps, including the US 82nd Airborne Division. The Allies not preparing the landing zones with naval bombardments in attempt to land by surprise. However, the Germans were well prepared. The landings went ahead on 9 September under German machine-gun and artillery fire. A counterattack by the 16. Panzerdivision was just beaten off on the first day, and the British and US landing zones were not able to join hands until the second day. From 12 to 14 September the Germans organised concerted counterattacks with six divisions aimed at throwing the Salerno beachhead into the sea before it could link with the British Eighth Army advancing from the south. The counterattacks managed to inflict heavy casualties on the thinly spread Allied troops. To better concentrate the defence the outermost troops were withdrawn to reduce the frontage of the beachhead. With naval and air support the German attacks were held off, though they almost reached the beaches in some places. 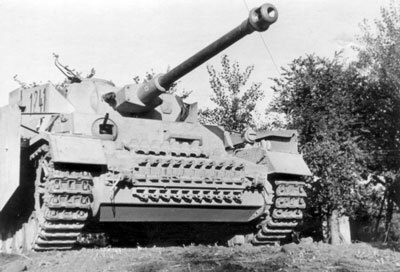 By 16 September the Germans start to pull back towards the Volturno River, north of Naples. 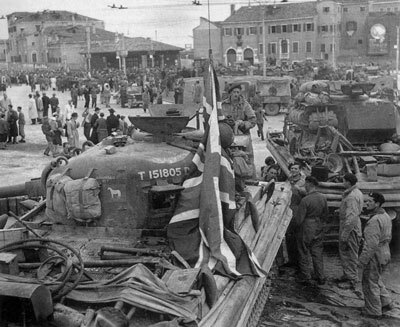 On the same day units of the US 5th Army from Salerno made contact with the advancing British 8th Army. The 8th Army now advanced up the East of Italy while the US 5th Army advanced from Salerno up the west coast. Sardinia was abandoned by the Germans in September with them evacuating via Corsica. French troops landed on Corsica on 10 September, liberating the first part of European France by October 1943. 12 September saw the daring mountain raid by SS-Obersturmbannführer Otto Skorzeny’s Fallschirmjäger and former Brandenburgers to rescue Benito Mussolini from captivity in the Abruzzi Mountains. The Germans then set him up in his own Italian Socialist Republic in northern Italy. 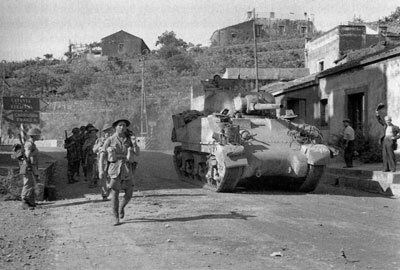 On 1 October British troops of the US 5th Army entered Naples as the Germans fell back. The Germans set up new defensive positions along the Volturno River in the west and the Biferno River on the Eastern seaboard. 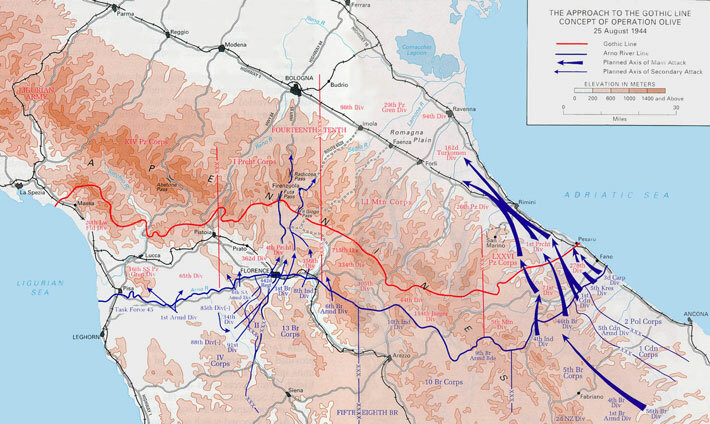 The Germans also went about preparing another more comprehensive defensive line along the Garigliano and Rapido rivers, up to Monte Cassino and on to Ortona on the Adriatic coast. This new defensive line became known as the Gustav Line and would become the main focal point of the first half of 1944. In the meantime the US 5th Army, under the command of General Mark Clark, fought its way across the Volturno by mid October and ran into the formidable defences of the Gustav Line. In the East the British 8th Army, under Montgomery, fought its way through a number of stubbornly defended rivers. By the end of October they had crossed the Biferno and were fighting through the line on the Trigno River. On 13 October Italy declared war on Germany and the Allies were joined by Italian fighting and support troops. Meanwhile in the north the Germans and Mussolini organised Italian units to continue to fight against the Allies. During November the US 5th Army struggled to make progress towards the Gustav Line, never quite making it to Monte Cassino or the Garigliano River. On the east side the British 8th Army broke through the Trigno River line and advanced on the Germans' new positions on the Sangro River. British and New Zealand troops launched an assault on 22 November against the Sangro River line; by 1 December the German line was broken. 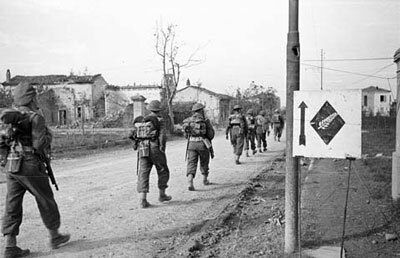 The US 5th Army finally reached the Garigliano River in December, but was still short of Cassino and the Rapido River. In the west the Canadians took the town of Ortona after an epic 29-day struggle against the German Fallschirmjäger defending it. Montgomery returned to Britain to prepare for the Normandy Invasion and was replaced as 8th Army commander by General Oliver Leese. As winter settled in further offensives became difficult. 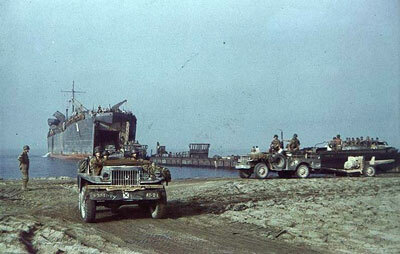 By January 1944 only 70 miles of advance had been made since the Salerno landings in September. It was decided to land another out-flanking force behind the formidable Gustav Line. 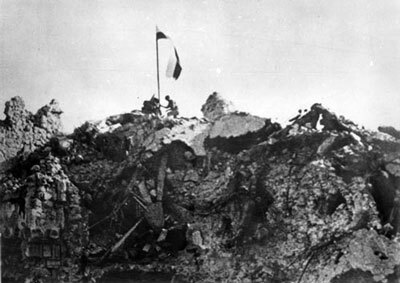 The new target would be Anzio, with attacks on the Gustav Line and Monte Cassino to coincide with the landings to keep German forces pinned down. The landing consisted of three task forces and they hit the beaches on 22 January. While the landings were underway British elements of the US 5th Army forced the Garigliano River and the French crossed the Rapido. However, during the First Battle of Cassino the attacking US troops got badly mauled by the German defenders. Ultimately the Germans were able to hold off all three thrusts and rally forces to face the landings at Anzio. 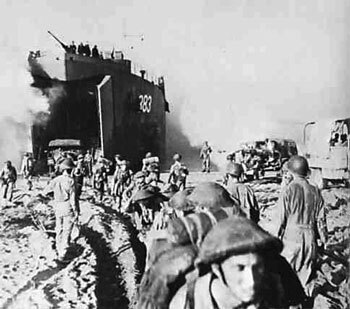 The landings at Anzio came ashore virtually un-opposed, and by 23 January the beachheads were secure. Despite this the US VI Corps didn’t move out of the beachhead until 30 January, by which time the Germans had steadied their lines and had gathered a sizeable force to oppose any drive inland. For over a month the Germans were able to keep the Anzio landing force in check with counterattacks, aerial and artillery bombardments and air attacks on the Allied supporting ships. 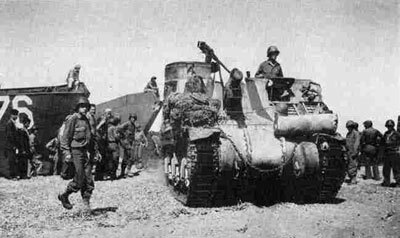 Throughout February the Germans kept up pressure on the Anzio beachhead. 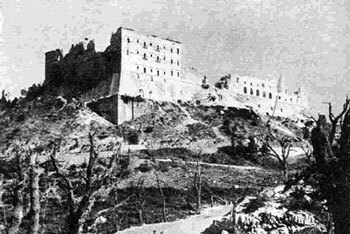 Meanwhile the attack on Monte Cassino resumed on 17 February with the 4th Indian and 2nd New Zealand divisions transferring to US 5th Army to attack the monastery. The decision had been taken to bomb it beforehand. 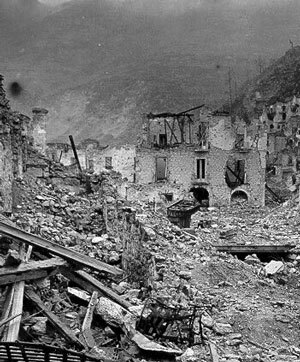 The Second Battle of Monte Cassino resulted in heavy losses to both divisions, with the position still in German hands. The bombing had actually improved the defensive positions of the Germans around the monastery. 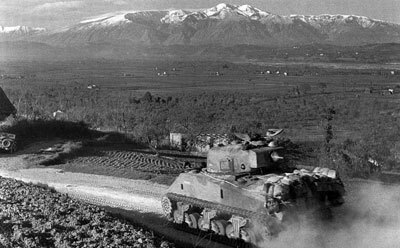 The battle for Cassino continued in March with the Third battle getting underway on 15 March. The New Zealand Corps (Indians and New Zealanders) fought for the town until 23 March, when they were finally forced to withdraw. During April the front settled down to a period of rest and preparation. 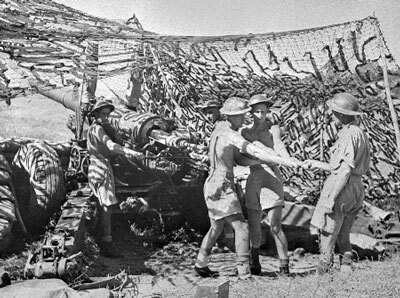 The Germans around Anzio realised they were no long able to push the Allies off the beachhead, so they dug-in and prepared defences. Allies took time to prepare for a big push to break out of Anzio and push through the Gustav Line. 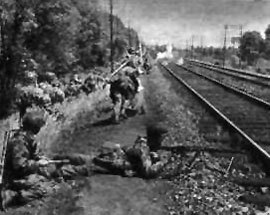 A new offensive against the Gustav Line was launched on 11 May 1944. British, Polish and Indian troops led the way, with the Canadians following closely behind. 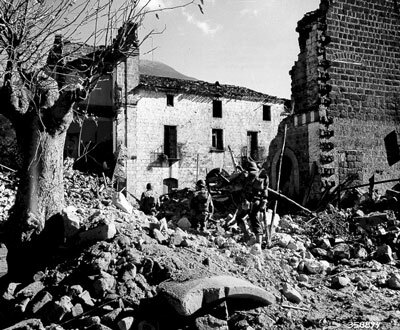 The 8th Army had its turn to attack Monte Cassino. From the west US and French troops of the 5th Army attacked as well. The French made a decisive push, allowing the II Polish Corps to finally take the heights of the Monastery on 18 May. 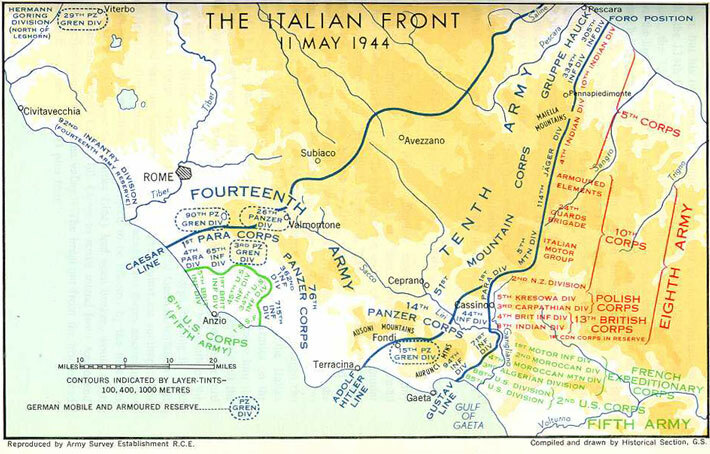 On 23 May the US VI Corps broke out of the Anzio beachhead and finally made contact with the US 5th Army. Combined they drove towards Rome. German forces arrayed in front of the city reposition behind the Italian capital. On 4 June units of the US 5th Army entered Rome. The Germans conducted their usual tenacious fighting withdrawal towards their new defensive line running from just north of Florence, across the Apennine Mountains to the Adriatic sea. The defences in the west run along the Arno River. The Germans held up the Allies as they advanced, finally taking up their new positions in mid July. The Allies launched their first assault on the Gothic Line on 25 August. The 8th Army attacked down the east coast towards Rimini and by the end of the month they had broken through the line. 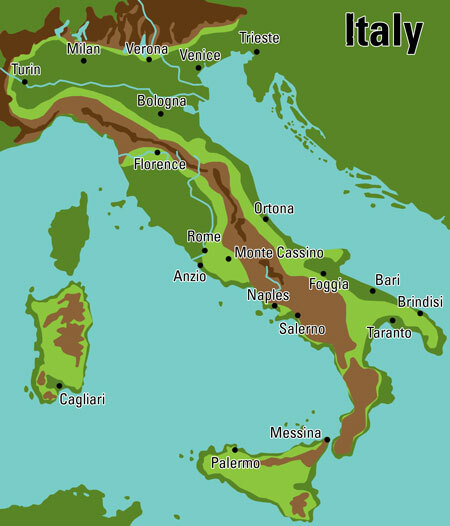 In the west the 5th Army crossed the Arno River and advanced towards the Gothic Line in the Apennine Mountains. 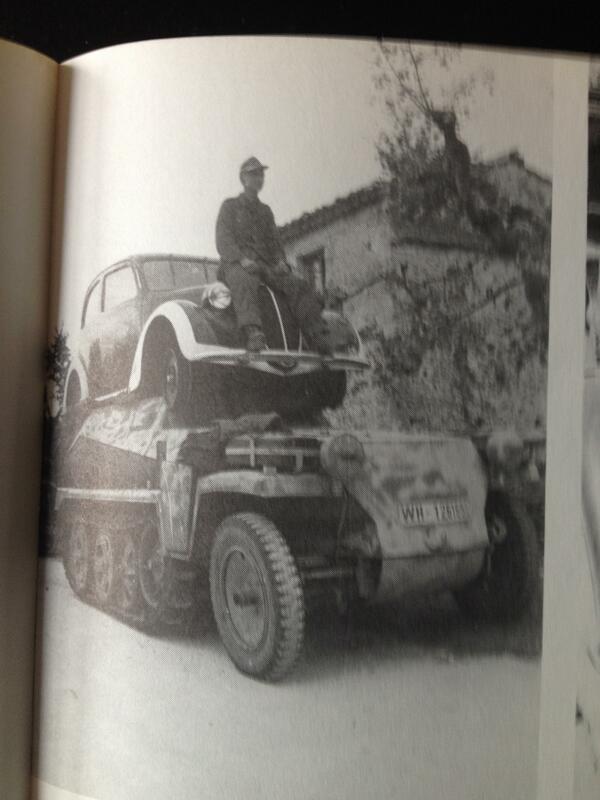 By September 1944 the fighting for the Gothic Line had intensified in the 5th Army sector. They pushed their way through the Gothic Line and now probed the passes across the mountains to Bologna. Stubborn German defence halted their advance. Winter conditions in October soon put a complete stop to the advance. On the east coast continuing pressure by the 8th Army slowly pushed back the Germans of the LXXXVI Panzer Korps. The Canadians took Rimini on 21 September, but the 8th Army were once more confronted with a series of defended rivers to cross on their way to the Po River to breakout into northern Italy. The 8th Army continued to slowly grind forward, encountering resistance at every step, finally to take Ravenna on December 4. Most movement slowed due to winter along the front. The 8th Army continued to make minor gains up until April when they were adjacent to Lake Comacchio. The 5th Army made some gains during he winter, but remained positioned in the mountains overlooking Bologna. At the start of April a new Spring offensive was launched aimed at sweeping the Germans from Northern Italy. The 8th Army attacked towards the Argenta Gap on 14 April, while the 5th Army swooped down from the mountains to assault Bologna. After a week of fighting they captured the city. Soon the divisions of the 5th and 8th Armies were racing across northern Italy, capturing La Spezia, Genoa and Venice by the end of the month. On 28 April Mussolini was captured and executed by Italian Partisans near Lake Como north of Milan. The 5th and 8th Armies continued to take control of northern Italy and German forces in Italy finally surrendered on 29 April. The agreement took effect on 2 May and official hostilities stopped. By 2 May the New Zealand Division had reached Trieste and on 6 May Allied forces moved from Italy through Brenner Pass meet forces moving from Germany into Austria. Last edited by =VARP=Thor; 29-07-2015 at 21:52. 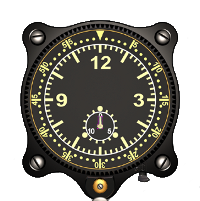 Last edited by Sup_Bigans; 04-08-2015 at 22:54. I know about Friuli, Cremona and Coastal batteries and who and how came from the French side....but i didn't know that French held hostages people who help them to "clean" the island from German presence. On the other hand, Italians conquered French island in a first place. To me it is very doubtful if Germans were not eager to leave the island with war material and resources asap and were willing to stay what would happen.